This full-length guide accompanies group members through DVD presentations by John Piper and includes opportunities for reflection, penetrating questions, and five daily assignments per week so that churches, small groups, classrooms, and families may learn to behold and delight in Jesus for who he really is. In 2 Corinthians, the apostle Paul described one of the central problems facing humanity in every age: people fail to see Christ for who he is. Even those who have caught a glimpse of him do not see perfectly, says best-selling author John Piper. But it is important that we not only learn to see him but delight in him and the truth of the gospel. This study guide—a companion to the Seeing and Savoring Jesus Christ DVD—explores the meaning and significance of these ideas in an eight-session, guided group study. With its opportunities for reflection, penetrating questions, and five daily assignments per week, this full-length guide walks group members through Piper’s compelling DVD presentation, in addition to supplementing Piper’s book Seeing and Savoring Jesus Christ. 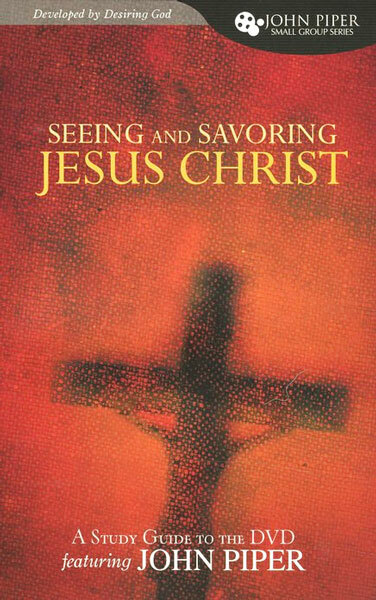 Combining the Seeing and Savoring Jesus Christ Study Guide with the DVD will enable churches, small groups, schools, and families to learn to behold and delight in Jesus more than anything this world has to offer. John Piper, Pastor for Preaching and Vision at Bethlehem Baptist Church in Minneapolis, Minnesota, since 1980, is a respected theologian and author. He is the author of over 30 books, of which more than two million copies have sold. A number of his writings are available from Olive Tree as eBook downloads for PDA and Smartphone.